What if I were to tell you that most of us can hit a new personal record any day of the week following any properly formatted program? Obviously there are good programs and bad programs out there but any good program will help any athlete hit a new personal record. So with that said, why is it that you don’t hit a new record? The answer lies between the ears. One of my favorite quotes from Steve Jobs is “Getting fired from Apple was the best thing that could have happened to me”. The reason I love this quote and the reason I personally look up to Steve Jobs is he strived for perfection in everything he did and most importantly he thrived on being uncomfortable. The most successful people of our time thrived most when they were uncomfortable. 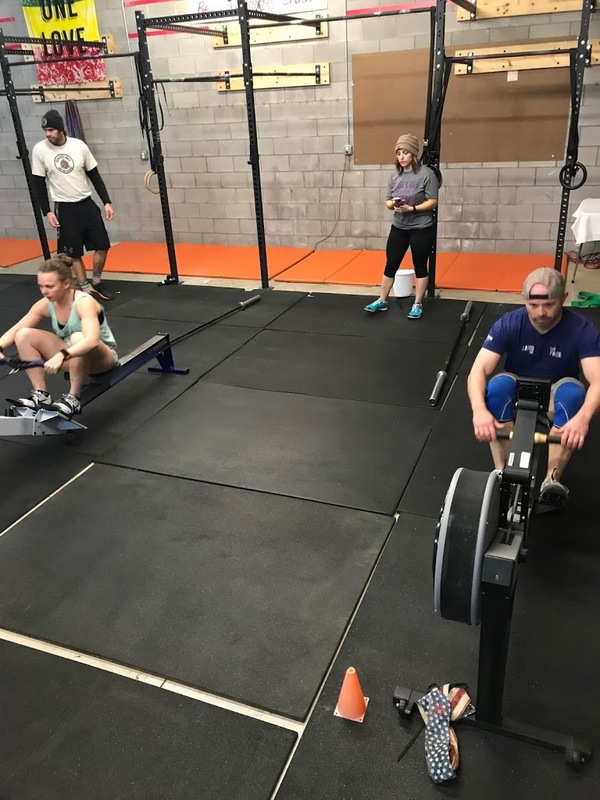 When it comes to CrossFit or other forms of fitness the best athletes in the world love the workouts that the rest of us hate. The ability for these athletes to live in a world where very little makes them uncomfortable is what makes them the best athletes. It’s well known that our brains will quit long before our bodies do. Many times I am coaching people and I tell them to just do one rep and I get what I like to call “the look of death”. They look like want to kill me. It’s times under extreme stress that your goal should be to shut your brain off and push harder than you ever pushed. That is where gains are made, being able to shut your brain off and just let muscle memory take over. The best competitors in the world just go on auto pilot. Recently I have begun to have my athletes start using Elevation Training Masks. I have no doubt that these masks do not simulate elevation training. O2 levels don’t change with the mask on, but you are forced to breathe heavier. I use these masks to teach people to get more comfortable with higher CO2 levels. After doing a max effort assault bike interval the last thing you want to do is have a restricting mask on your face. 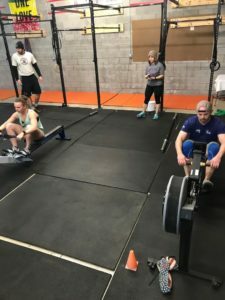 As the athlete struggles to get full breaths, they begin to realize they will not die and they soon are able to control their breathing just fine. This is very similar to how you react in a Metcon. You can push harder for that one or two more reps or how about 3-5 reps. Look at the best marathon runners in the world. You think in the last 3-5 miles they aren’t hurting like everyone else? What separates them is they do not let their facial expressions show how uncomfortable they are, if they did the other competitors would smell blood. I have made it my personal mission in the past several months to address the comfort level of my athletes while they workout- force them to focus on their breathing and bringing their heart rate down. Living outside your circle of comfort is key to success in anything you do in life. Over and over again we will find ourselves in uncomfortable situations and only the best will come out on top, again think about Steve Jobs. In many situations, the only thing standing between you and a personal record is your own head. Stop letting the feeling of being uncomfortable stop you from overcoming the many challenges of our lives. That is why I love CrossFit, almost every day we are made to breathe hard and lift heavy and the best don’t let that stop them from being the best they can be. In life, thrive on being uncomfortable and you will achieve anything.